I remember, when I was a kid, playing in the snow was my favourite thing. We used to sit by the window, waiting for the snow to fall thick enough before phoning up everyone to meet in front of the building. The cold was not a problem when we were kids, cause we would roll around in the snow, and run around so much we would start taking our clothes off. As I got older, cold and snow were not so fun anymore. When I look through the window and see a lot of snow I immediately start thinking of all the problems it will cause me. I guess it is easiest for most of us to endure spring and autumn. Spring and autumn are my favourite times of the year. I don’t like anything extreme. I don’t like when anything is too spicy, too hot, too cold, too sweet, to sour… I also don’t like perfumes that make me dizzy, so this spring I opted out for a mellow version of spring in the bottle. 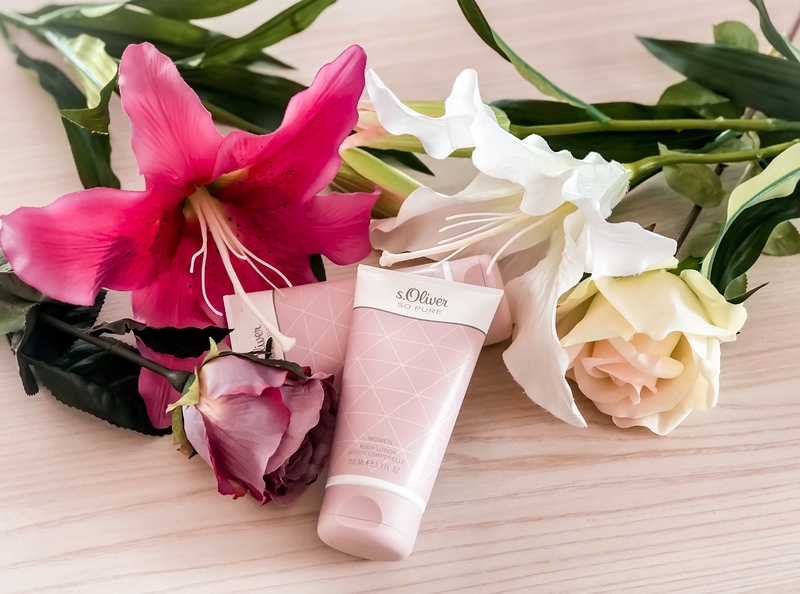 S.Oliver so pure collection comes in mellow flower scents which are perfect for those of us who like to make a statement in a more mellow way. The collection consists of a small perfume, easily carried in a purse anywhere with you and gives away a nice gentle smell of upcoming spring. Deodorant is seethrough. It doesn’t leave any marks on the clothes and the smell is similar to the perfume but comes with a more of a powdery smell, which will leave you and your clothes smelling soft and fresh. During bath time s.Oliver so pure bath and shower gel is of a nice smooth texture, what I love the most about it is that it leaves a very radiant smell on the skin even after leaving the bath or shower. Unlike other shower gels it doesn’t wash off, but if the scent is not strong enough for you, there is also a lotion version of it which hydrates the skin and adds a scent on the skin that stays during the whole day. The whole so pure collection really reminds me of childhood, when your mom washes your clothes and it smells fresh for a very long time. It is not aggressive like most, so it gives subtle scents of spring where ever you go. It is available in almost every perfume shop and online. Perfect for a gift to a friend or loved one. Packaging is in lovely baby pink colours, making it soft from the outside as it is on the inside.